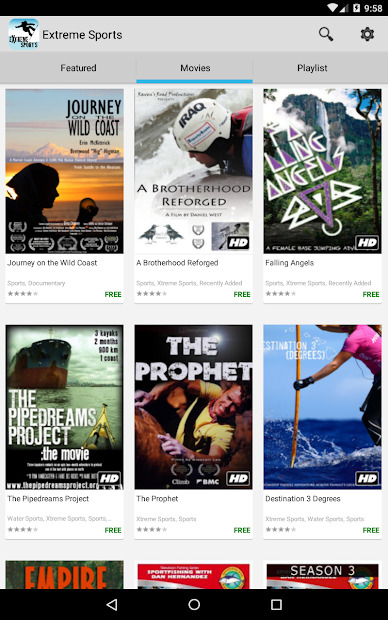 Watch Extreme Sports movies and documentaries, with this app for Chromecast. 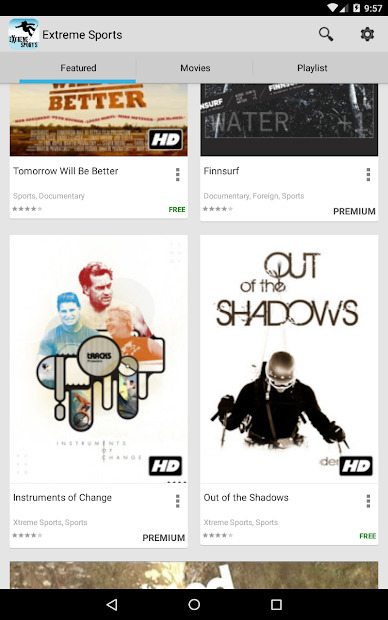 A big collection of Extreme Sports movies and documentaries are awaiting for you in this app for Chromecast. Snowboarding, Surfing, Skiing, Rock Climbing, Mountain Biking and everything in between. From action reels to docs you won’t be disappointed. You can watch for free a limited library of titles. Movies are streamed in SD and are accompanied with a variety if ads. If you like what you see, you can adquire a Premium account to watch in HD, unlock all the movies and docs, and remove those ads.